Fruitless Pursuits: FPcast for May 2 2016: Civil War! 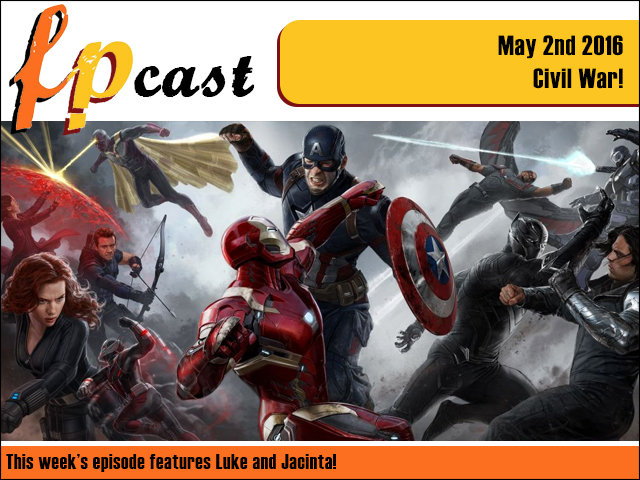 FPcast for May 2 2016: Civil War! This week we review superheroes-solving-their-problems-with-punching classic Captain America: Civil War! Plus we catch up on all the news, discuss the Pokemon Go beta, and finish with a spoiler filled look at the first episode of Game of Thrones season six, and then even a spoiler filled chat about Downton Abbey. PICK A SIDE! And an ear!